The Water Vole Woodland is a idyllic woodland oasis. It has a hard standing path as well as several seating areas, willow tunnels and a boardwalk. 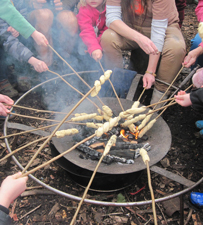 It is a perfect venue for forest school, environmental activities and training, celebrations and arts events.